The Honourable Jean-Yves Duclos, Minister of Families, Children and Social Development, along with the Honourable Caroline Cochrane, Minister Responsible for the Northwest Territories Housing Corporation, Minister of Municipal and Community Affairs, Minister Responsible for Status of Women, and Minister Responsible for Homelessness, today announced measures to give Canadians greater access to more affordable housing. The measures include the doubling of current funding under the Investment in Affordable Housing (IAH) initiative, addressing high housing needs in the North, supporting affordable housing for seniors, building and renovating shelters and transition houses for victims of family violence, and addressing repairs and improving energy and water efficiency of existing social housing. Federal Budget 2016 investments in affordable housing will provide targeted support to those who need it most, including in Northwest Territories, and create good jobs that help grow Canada's economy in a clean and sustainable way. 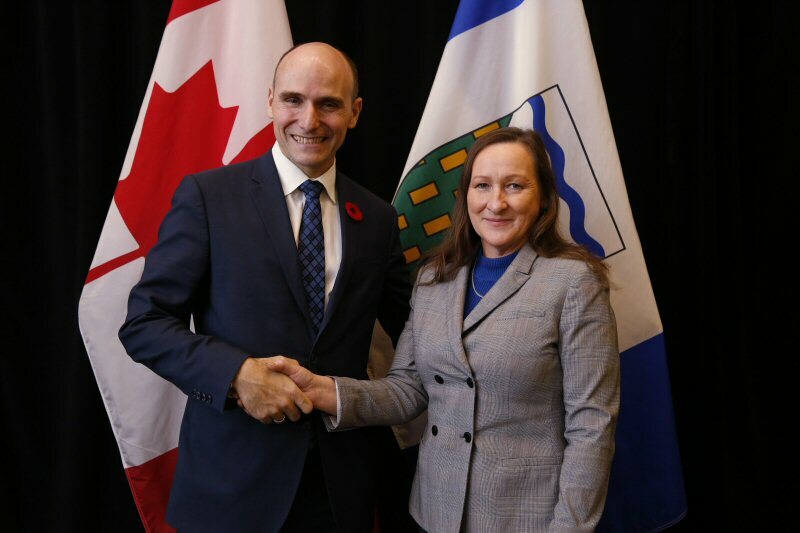 The federal and territorial governments will work together to quickly deliver the new funding. In addition to existing funding under the Investment in Affordable Housing (IAH), the funding levels by the Governments of Canada and Northwest Territories have been doubled to more than $7.7 million over two years. The Government of Northwest Territories, through Northwest Territories Housing Corporation, is responsible for choosing the programs they design and deliver. Northwest Territories has the flexibility to invest in a range of affordable housing programs in order to meet housing needs. Initiatives can include, for example, new construction, renovation, affordability assistance and independent living (accessibility, modifications for persons with disabilities and seniors), and support of accommodations for victims of family violence. $2.5 million to help address the increasing demand for repairs as social housing units age and to improve efficiency and reduce energy and water use. As the need for affordable housing is also particularly high in the North, the Government of Canada is providing an additional $12 million over two years to address urgent housing needs in Northwest Territories. Canada Mortgage and Housing Corporation (CMHC) has been helping Canadians meet their housing needs for more than 70 years. As Canada's authority on housing, CMHC contributes to the stability of the housing market and financial system, provides support for Canadians in housing need, and offers unbiased housing research and advice to Canadian governments, consumers and the housing industry. Prudent risk management, strong corporate governance and transparency are cornerstones of CMHC's operations. For more information, please call 1-800-668-2642 or visit www.cmhc.ca or follow CMHC on Twitter, YouTube, LinkedIn and Facebook. The Northwest Territories Housing Corporation (NWTHC) has a mandate to ensure there is a sufficient supply of affordable, adequate and suitable housing to meet the needs of Northwest Territories residents. The NWTHC conducts its business throughout the housing continuum, which include homelessness supports, social housing, homeownership supports, homeownership repair and market rentals. Lowering the high cost of living in the NWT through the provision of safe, affordable housing is a key priority of the Government of the Northwest Territories. For more information, please call 1-844-NWT-HOME (1-844-698-4663) or visit www.nwthc.gov.nt.ca. $177.7 million(i) to address the housing needs in the North and Inuit communities. To support $573.9 million for retrofits and renovations of social housing units in Canada, at least $485 million is also provided through the IAH and $82.7 million is delivered by the Government of Canada, through Canada Mortgage and Housing Corporation. (i) Part of this funding may be delivered through Indigenous and Northern Affairs Canada (INAC). To view the photo associated with this press release, please visit the following link: http://media3.marketwire.com/docs/cmhc01.jpg.